There has been much discussion recently about the role that soils can take in mitigating against climate change, capturing carbon and locking it into the earth. Not only is this vital for the stabilisation of our climate, but also to ensure healthy crops through healthy soils. With World Soil Day coming up tomorrow we thought it could be useful to share some interesting ways of supporting and caring for soils, wherever they are, for the good of our crops and the wider environment. Mulches of organic matter are a simple way to keep your soil healthy. From homemade compost to well-rotted manure from a farmyard, organic matter is full of the flora and fauna our soils need to keep them alive and well. Traditionally gardeners would dig this matter into the soil, but more and more it is being applied over winter and left as a two or three inch layer which over time will be drawn down into the soil by the action of our friends, the earthworms. This is a great job to do over winter, as it will keep you warm, barrowing around piles of organic matter and is a great addition to the community tasks when everyone assumes there is little or nothing to do. For advice on composting, log in to the website to access our Composting and wormeries section of the Toolshed. 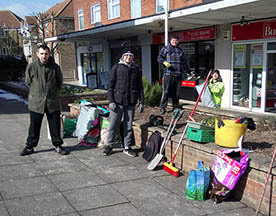 Mulching can also be done during the growing season, using a wide variety of products, some of which can be bought and others which are natural and available to most gardeners or growers. 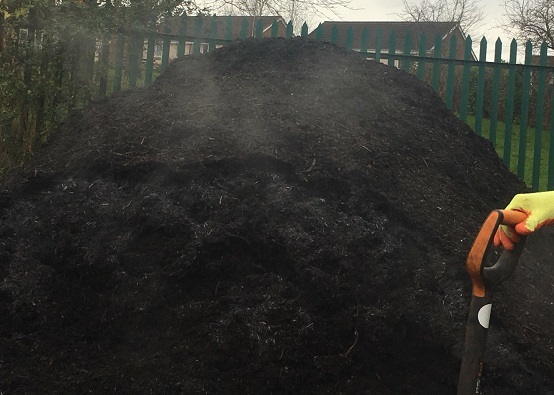 From bio-char, a type of charcoal that can be added to the soil once it is made through a heat process, to mulches of comfrey cut from the garden, there are many ways of feeding your crops whilst mulching the soil simultaneously. Of courses mulches also suppress weeds and keep moisture in the soil so they are a perfect way of gently keeping soil healthy and protecting your crops. Green manures are a fabulous way of feeding the soil and aerating it, as well as making sure that pieces of ground that are fallow are being grown in, even if the crop is feeding the earth rather than people. There are lots of different species that can be used as green manures which cover the entire year, with many being available from garden centres and online garden shops. 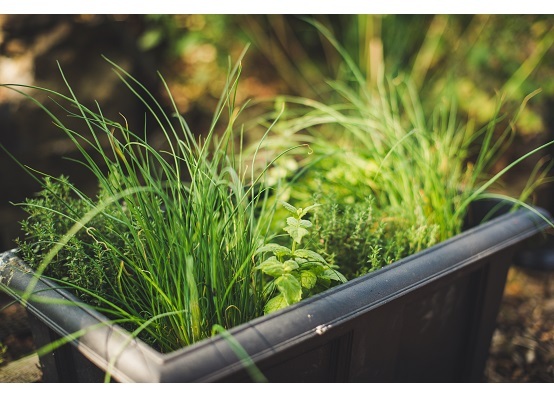 Garden Organic have a great piece about how, where and why when it comes to green manures. And finally a word about no dig gardening. There is more and more evidence that disturbing the soil through digging is actually bad for the flora and fauna that lives in that soil. 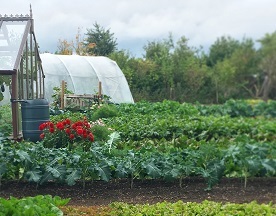 For many years permaculturists have supported the no dig method, that supports soil health by adding layers of mulches to the soil, from the beginning of a garden. When the garden is begun weeds are removed and green matter in the soil, such as grass, strimmed or scythed back and then the soil is prepared using firstly layers of cardboard to suppress weed growth, followed by 6 inches as a minimum of a compost mulch which can be anything that is organic matter. The soil is then planted into and crops prove to be as reliable as they would be in what we see as a conventional, or dug, garden. 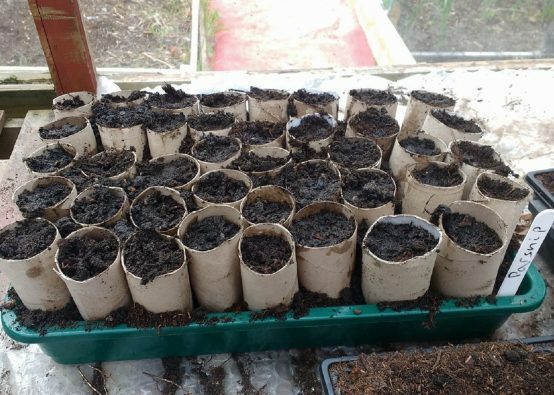 The cardboard eventually breaks down, adding a layer of carbon under it and each year another layer of organic matter is added to the garden, albeit in smaller quantities of around 1-2 inches. 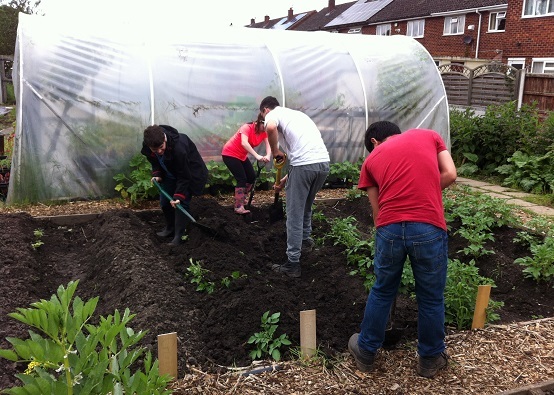 No dig gardening can be misinterpreted as no work gardening, and that is not the case as weeds will still grow and need dealing with, but as a way to ensure your soil remains healthy it is a great method. For further information about no dig Charles Dowding‘s website, is full of interesting information and links to videos which explain more. If you’d like to tell us more about how you look after your soil in your Incredible Edible group, why not get in touch, and we’ll share your story!